Virtuosity in Vivaldi’s Concertos | The Chamber Music Society of Lincoln Center. Violin virtuosity reached a new height around the year 1700. 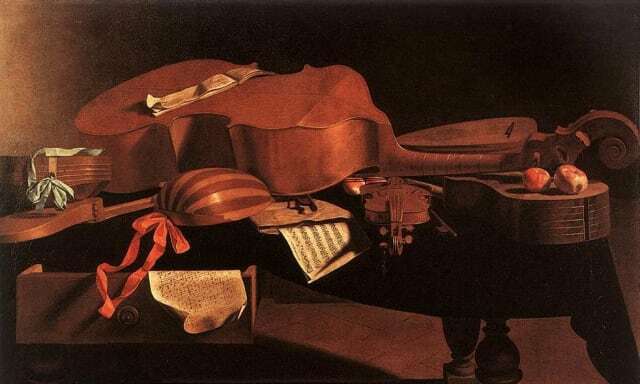 From the start of the Baroque Period a hundred years earlier, skilled craftsmen like Gasparo da Salò advanced string instrument building technique until it reached its apex with the instruments of Antonio Stradivari and Giuseppe Guarneri. The burgeoning music publishing industry also inspired composers to write pieces that would stand out and establish their international reputations. The new instruments and new ability to distribute music motivated and challenged composers to write technically demanding music that would have wide appeal. Antonio Vivaldi, born in Venice in 1678, took advantage of these new trends in the music industry. He was an incredible violin virtuoso—his playing was so exhilarating and daring that a contemporary described himself as “terrified” when he heard it. He was also a prolific composer, a skilled opera impresario, and all-around musical entrepreneur. His vocal music, today mostly forgotten, was an important part of his career. He claimed to have composed 94 operas, both for his main theater, the Teatro San Angelo in Venice, and many patrons elsewhere, and he traveled extensively as an impresario after 1718. Vivaldi was a not-particularly-devout priest who worked on and off at an orphanage for musically talented girls when he was home in Venice. This painting shows him wearing a fashionable wig (which was discouraged for priests) and secular clothing. Vivaldi’s concertos brought together the right elements at the right time to influence a generation of composers. His style caught fire and blazed across Europe, starting with his Op. 3, L’estro armonico (the harmonic inspiration, 1711), a published collection of 12 concertos for one, two, and four solo violins accompanied by strings and continuo. The Vivaldi craze was short and intense. 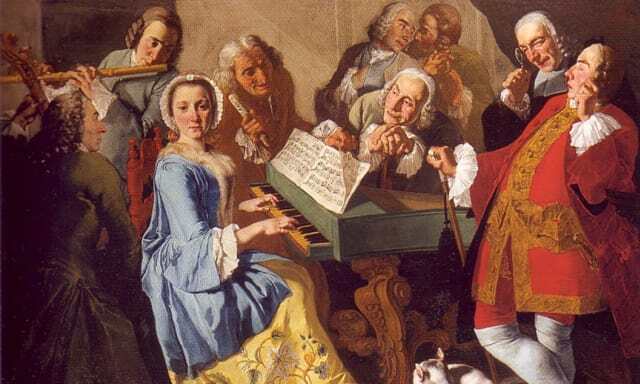 His music served as a sort-of flashpoint for late Baroque style: it both influenced other composers and was simultaneously criticized by them for its freewheeling virtuosity. Vivaldi’s difficult personality didn’t help. He stopped publishing his instrumental music in 1730 because he didn’t feel it was lucrative enough, and his influence quickly waned after that. But he brought a clear structure and new dramatic power to the concerto, foreshadowing the Classical period, and he opened up new ways forward in violin playing.